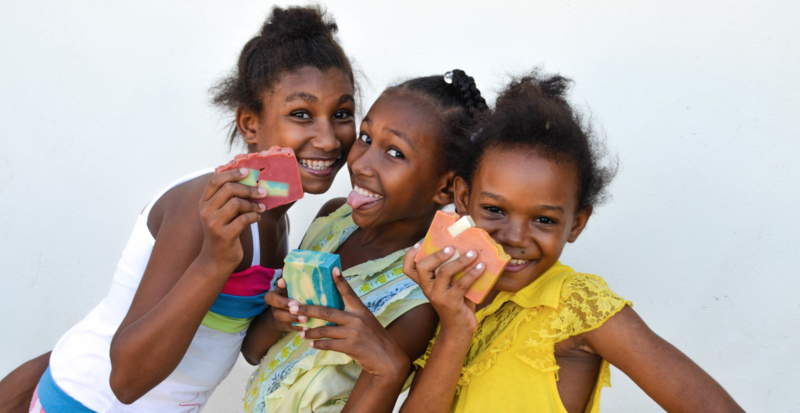 Three girls in the San Simon community with bars of Dominican Wave soap. 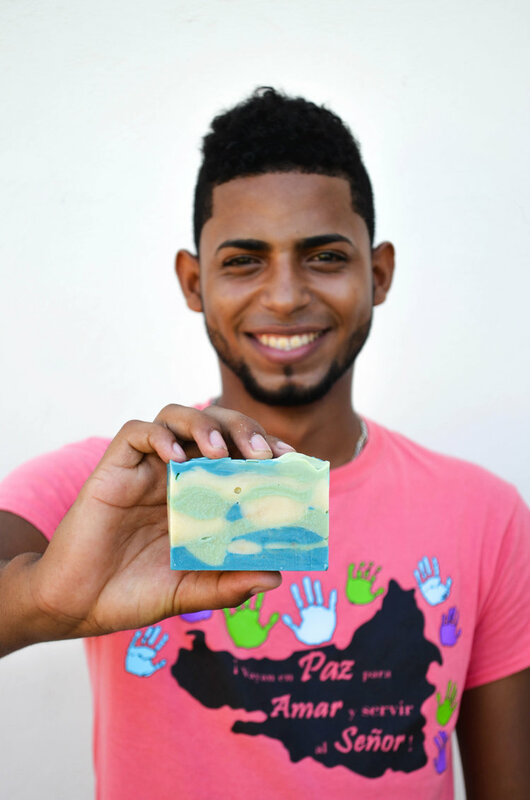 The Dominican Development Group and Flagler College have launched a soap business in San Marcos in the Dominican Republic. The project is designed to improve the quality of life for the residents of this struggling Community. Bill Kunkle, Executive Director of the Dominican Development Group, has been working closely with the community of San Marcos for 6 years. The town is small and far removed from the lush tourist resorts. In this part of the country jobs are scarce and most live in extreme poverty, do not have access to clean drinking water and have limited access to health care. Bill Kunkle and his team found the solution to their problems with soap. Soap making is easy to learn, has low start-up costs, is scalable and would provide much needed income. The Dominican Development Group’s partner in grime in this venture is Flagler College, a small liberal arts college located in St Augustine, Florida. Flagler students know how to make soap, since 5 years ago they started a successful soap company with abused and neglected young men at a foster care home in Florida. 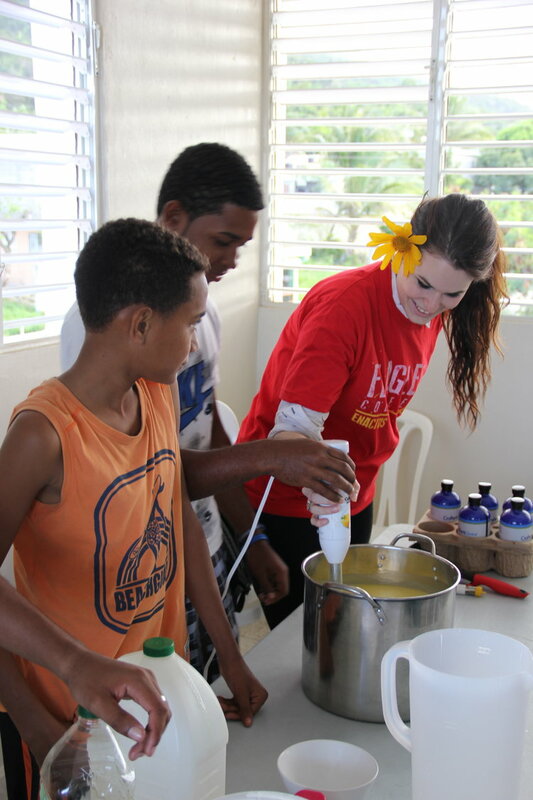 They are now lending their experience to teach soap making to the community of San Marcos. The goal is to make a product that will not only produce money but ownership and opportunity. The high-quality, eco-friendly soap business is called Dominican Wave. Currently our soap is handmade in the San Simon Episcopal church in San Marcos and employs four local residents full-time. Each soap reflects the personality of our soap makers and friends in San Marcos. Local merchants supply many of the ingredients providing much needed stimulus to the local economy. The soap will be sold in resort hotels and gift shops to the five million tourists that visit the Dominican Republic annually. It will also be made availably to the dioceses of the Episcopal churches associated with the Dominican Development Group. In addition, the soap will be made available to the community through a hygiene education program designed by our partners in Flagler College Enactus. This self-contained program is delivered in a box that contains a curriculum, teaching supplements, and a supply of our Dominican Wave soap. It will be taught in churches and schools in the Dominican Republic on an annual basis, working to reduce the incidence of waterborne diseases. Our progress has been closely followed by Fathom Cruise Lines, a member of the Carnival Cruise family. Last year Fathom launched a unique impact travel program. It is a new category of travel. It allows travelers to become immersed in another culture by working alongside local people on projects that serve the community needs. In February 2017 they selected the Dominican Wave project as one of their official impact activities. We join a select group of carefully chosen businesses and programs that focus on improving social, economic, and environmental conditions in the Dominican Republic. When Fathom passengers visit our Dominican Wave factory, they meet our team and participate in the entire soap making process. 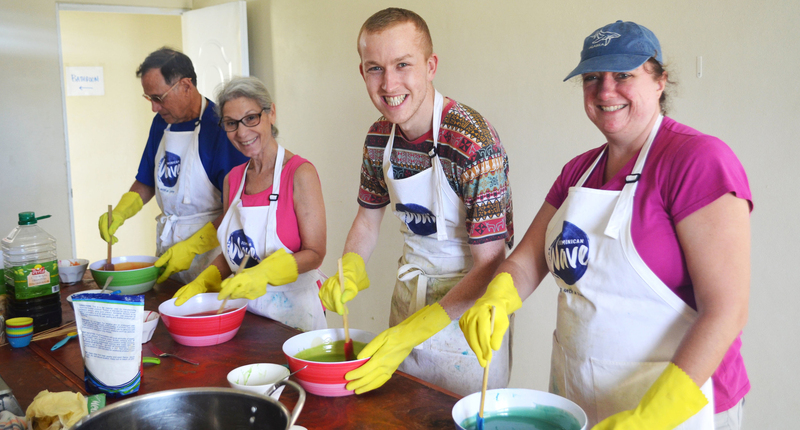 Cruise line passengers participating in the making of Dominican Wave soap. To increase the amount of passengers that visit our factory, we have partnered with a local tour operator to make our social impact activity available to all Carnival cruise passengers that visit the Dominican Republic, as well as local resorts and hotels. This new development will have a direct impact on our production, sales, and profits. The additional passengers will allow us to scale up production, hire additional staff, buy more locally produced ingredients, and have a greater impact on the local community. Currently we are expanding our distribution channels and increasing the number of stores that carry our soap. Our soap is available at stores and through us directly, both in the Dominican Republic and the United States. To learn more about the project and where our soaps are available, please follow us on social media and visit our website. To contact us, e-mail us at (dominicanwavesoaps@gmail.com). The Dominican Wave program started with a ripple and has now turned the tide in the economically distressed community of San Marcos. 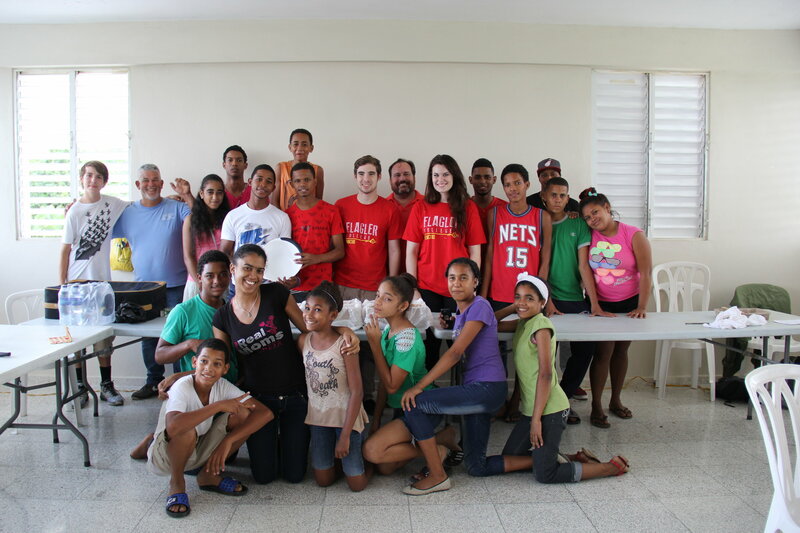 Representatives of the DDG and Flagler College along with San Simon residents in the Dominican Wave soap workshop.